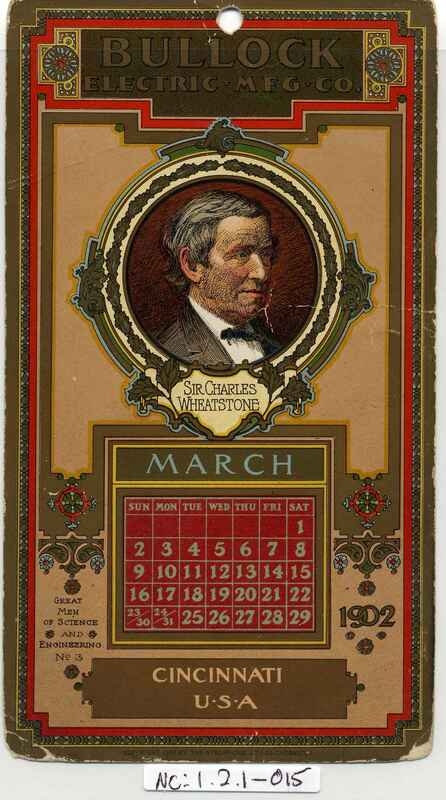 Full Description: An American Calendar Card, for the month of March 1902. One of a series featuring "Great men of Science and Engineering" and produced for the Bullock Electric Mfg Co of Cincinnati, USA. This is No 3 in the Series, and features a central image of Sir Charles Wheatstone. The rear is stamped in ink "George W Straub".